There was people asking me "How can I recover deleted contacts on iPhone 6?" So is it possible to recover contacts from an iPhone? Easy! You don't have to be panic when you lost your iPhone contacts, as there are many ways to help you recover lost contacts on iPhone! Follow this article and I'm sure you can definitely complete the iPhone contact recovery easily! This article introduces several solutions to recover deleted contacts on iPhone X, iPhone 8 (Plus), iPhone 7 (Plus), iPhone SE, iPhone 6S (Plus), iPhone 6 (Plus), iPhone 5, iPhone 5S, iPhone 5C, iPhone 4S, iPhone 4. Part 1: Why Contacts Disappeared from iPhone? Part 2: How to Directly Recover Deleted/Lost Contacts on iPhone? Part 3: How to Recover Deleted Contacts from iTunes Backup? Part 4: How to Recover Deleted Contacts from iCloud Backup? From a technical point of view, this should never happen considering Apple’s immense emphasis on reliability and security. But as stated above, the problem of contactss missing from iPhone has been around for many years and appears without any prior notification. 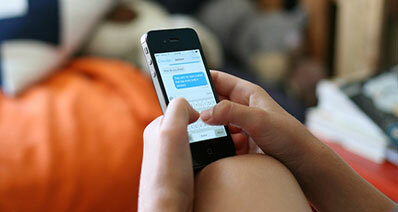 There are four main reasons for the disappearance of your contactss in iPhone. Updating the iOS Version: - After every update, iOS prompt users to sync its contacts with the ICloud. If the contactss were never synced in the previous versions, this may cause a loss of them. However, on most occasions, this is only temporary and your contactss should appear like before. Resetting iPhone: - The cold rebooting of iPhone in cases of unresponsiveness may cause such problem also however, its instances are rare. Cold resetting should always be the last resort. It is always advisable to make a backup for contactss beforehand so that in the case of performing a cold reboot there is no risk of them. Jailbreaking your iPhone: - Jailbreaking allows iPhone users to bypass Apples’ restriction on software’s access and usage. Although, it isn’t the direct cause of losing your contactss all of sudden; it does cause some modifications in iOS source code which may result in sudden loss of contactss. Reasons not unknown: - There have been instances of iPhone losing contactss due to technical reasons which are hard to debug for an average Joe. There is always the possibility of iOS source code to get modified due to usage or access of unauthorized apps. Sometimes the contactss get deleted mistakenly without being aware. iSkysoft Toolbox - iOS Data Recovery is a powerful tool which helps you to recover any lost or deleted contacts with ease. You just need to scan, preview and restore the lost contacts from your iPhone directly. 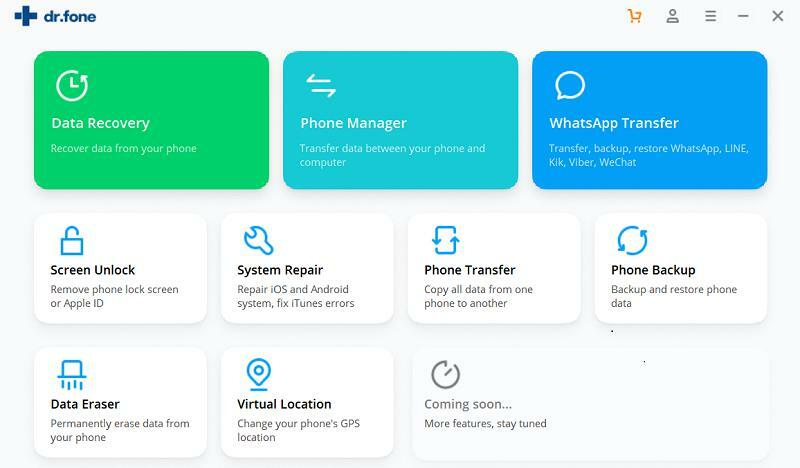 Along with this easy method there are another two main methods which allows you to restore lost contacts from iPhone effectively. With the help of iTunes and iCloud you could automatically create/store backup from your iPhone contacts. iSkysoft provides astonishing features like "Batch Restore" and "Selective Restore" to recover any file types with just 3 simple steps. 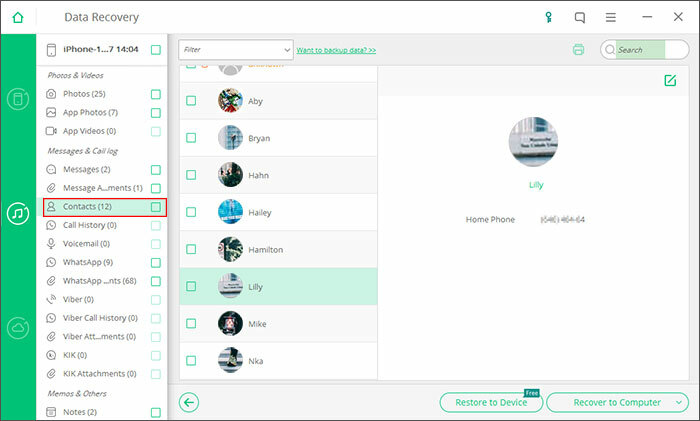 This program will allow you to preview all of your contacts without having to necessarily recover all the contacts that show up. This tool will perform all the major functions and with a few clicks, be assured that your deleted contacts will be availed. 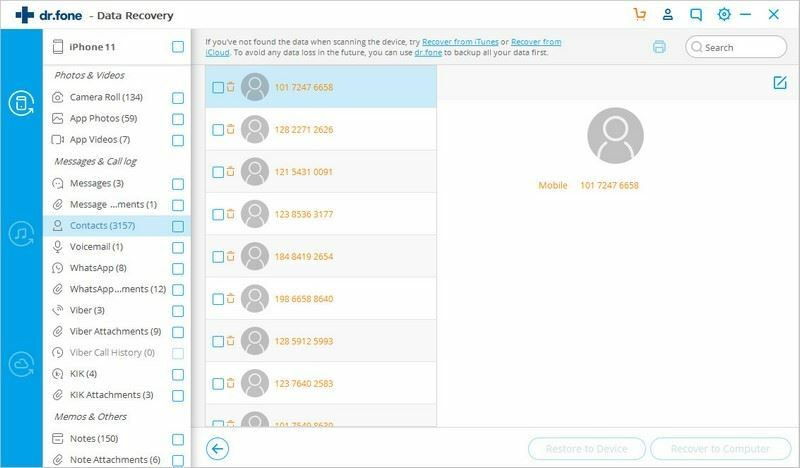 This tool will not only help you restore your contacts but will also give you a chance to preview your contacts first. It helps you not only recover contacts from iPhone, but also restore contacts from iCloud and iTunes backup. It supports all of the iOS devices, including iPhone X/8 (Plus)/ 7 (Plus)/SE/6s (Plus)/6(Plus)/5S/5C/5/4S/4. 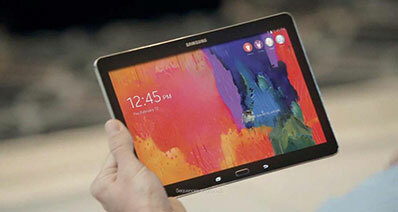 This ensures that there is no data loss during restoring of contacts. No data will be overwritten on your iPhone. The exported contacts can be saved as .xlsx, .csv, or .html file on computer. 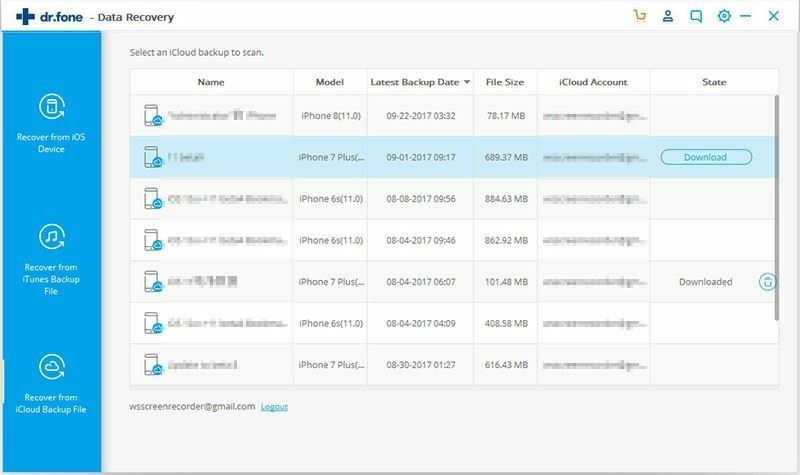 Why choose iSkysoft Toolbox to recover deleted contacts on iPhone instead of using iTunes or iCloud? iSkysoft Toolbox - iOS Data Recovery makes the iPhone contact recovery easier as it allows you to read the discovered contacts that you lost. So you can decide which contacts you want to recover. Recover with iTunes or iCloud will never give you a chance to preview the contacts. As we all know, the chief drawback of using iTunes or iCloud to recover lost contacts on iPhone is, it will overwrite the existing data on your iPhone. That means all of your files on iPhone will disappear when restoration. Besides, you need to have the iTunes or iCloud backup before you find your contacts lost. You can't recover anything from iTunes or iCloud if you didn't backup to them. 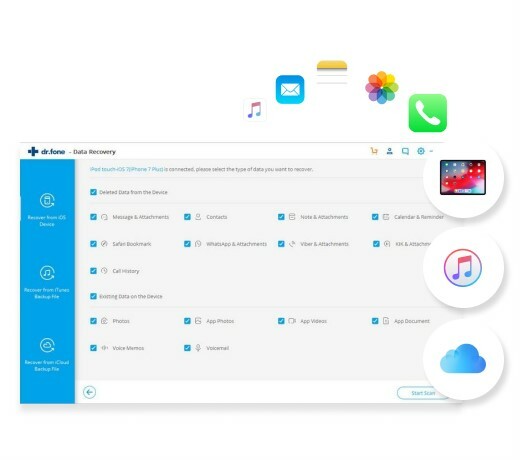 For people who didn't have iTunes or iCloud backup before, the best solution for you to recover iPhone contacts is using iSkysoft Toolbox, as we introduce the guide below. Step 1: You can recover your lost or deleted contacts from your iPhone even if you didn’t back them up in another platform. All you need is to install and run iSkysoft Toolbox on your computer. Connect your iPhone to the computer and click on "Data Recovery". Step 2: Immediately the computer detects your iPhone, it will prompt you to choose the file types that you want to recover. Make sure you have checked the box of "Contacts". Then click on the ‘Start Scan’ button. 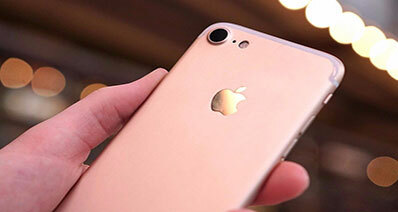 It will start scanning the deleted contacts on your iPhone. Step 3: It takes a few seconds to scan your iPhone for the lost contacts. When it displays the result, you can click each one to preview the details and choose the ones you want to bring back to your iPhone. Hit on "Restore to Device" or "Recover to Computer" to get back deleted contacts from iPhone! If you have backed up iPhone contacts to iTunes, you will have another chance to retrieve deleted contacts on iPhone. iSkysoft Toolbox - iOS Data Recovery program enables you to extract contacts from iTunes backup files. 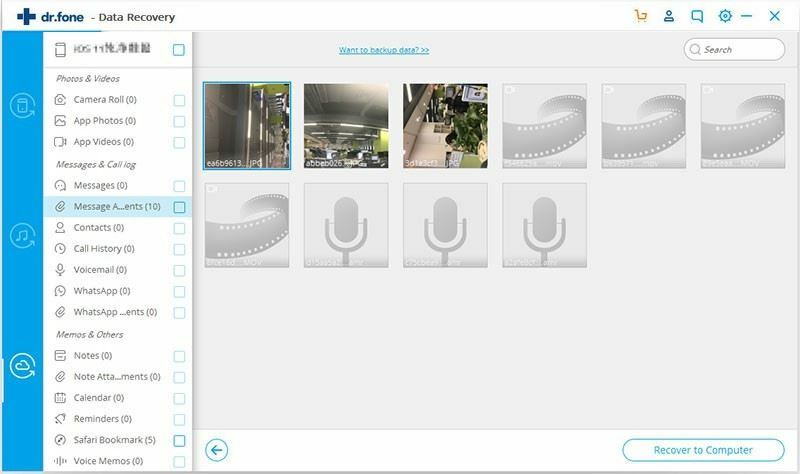 You can do this without losing your previously saved data because this tool has a backup mechanism that will ensure no data loss. Now let's see! Step 1: Start iSkysoft Toolbox. 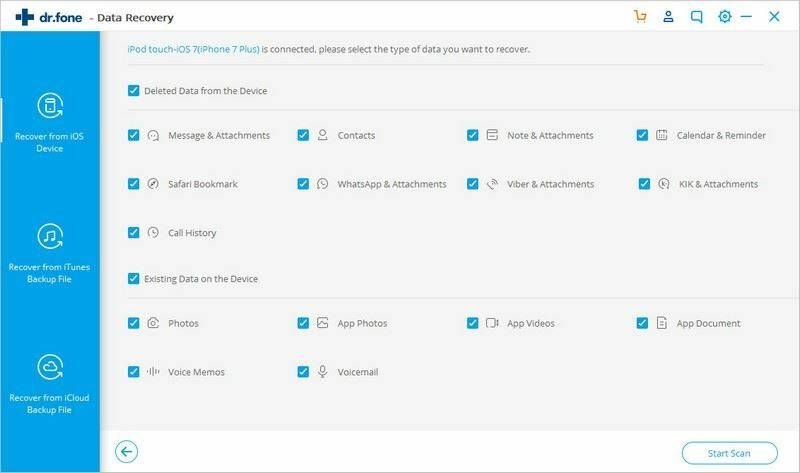 Connect your iPhone to the computer and click on "Data Recovery". Then choose "Recover from iTunes backup" from the left panel. Step 2: It will detects the iTunes backup on your computer. Choose the one that contains your deleted contacts and hit "Start Scan". Step 3: When it shows the scanning results, you can click "Contacts" to view your lost contacts fomr iPhone. Preview and choose the ones you want to recover and hit the "Restore to Device" or "Recover to Computer" buttons to save them on your iPhone or computer. Good Luck! 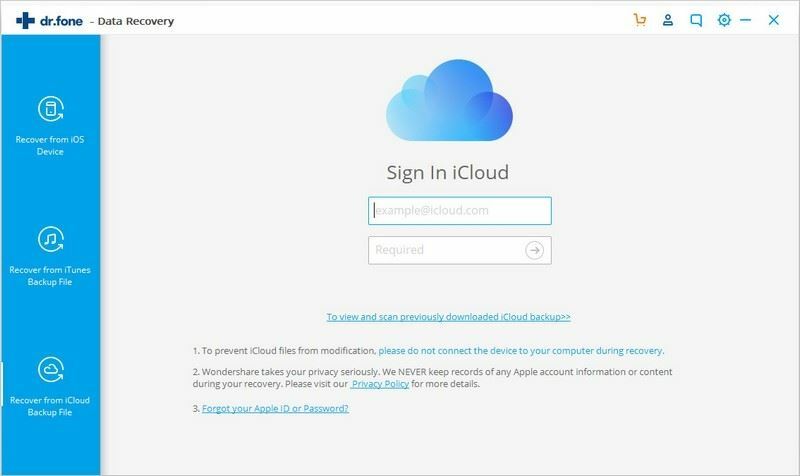 iCloud automatically saves your data as long as you have signed up for an iCloud account. In the event that contacts get deleted or get lost for some reason, you have a high chance of retrieving them using iSkysoft Toolbox. Can't Miss: More Methods on How to Restore Deleted Contacts from iCloud Backup. Step 1: If you had already signed up for a backup account, you just have to log in to your account after opening the iSkysoft Toolbox. Go to "Data Recovery" and then select on "Recover from iCloud backup" tab. Step 2: Pick on "Download button“ to bring forth all the deleted iCloud backup files which includes your contacts. Scan them and let them be ready for selection. Step 3: The last step is to take a look of all the retrieved contacts from iCloud backup. This preview mode allows you to carefully pick the exact contacts that you need to recover. Click on the ‘Restore to Device’ button to get contacts back on your iPhone, or "Recover to Computer" to save them onto the computer. Regular backup of your device: To prevent iPhone contacts/data loss issues, you need to ensure proper and regular backup. For this purpose iTunes and iCloud is used by many users to backup iPhone contacts. 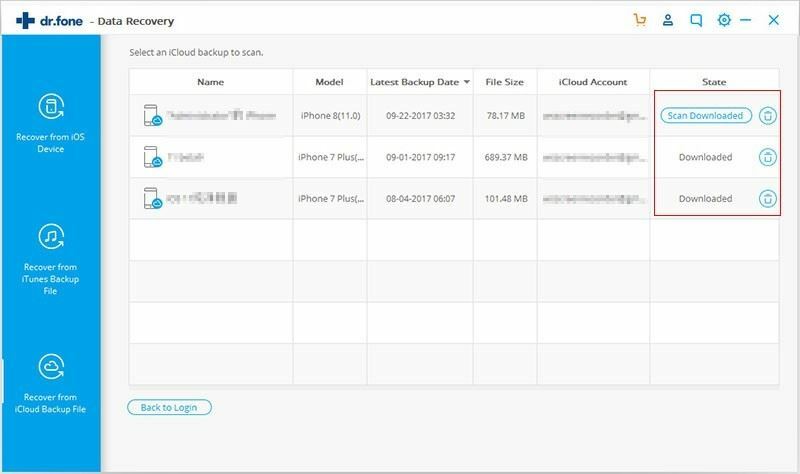 As many people may find it difficult to use iCloud or iTunes and thus they fail to backup any data efficiently, it is suggested to backup iPhone data directly on your computer. iSkysoft Toolbox - iOS Data Backup & Restore is an awesome software program to help you fully backup your iPhone to computer with no risk! It supports exporting contacts on iPhone into vCard, Excel, CSV and other format on computer. You can download and try it yourself. Isolate other internet devices: Many wireless networks or Ethernet cables can cause your ‘Mac’ to connect to your device as long as you have enabled the wireless mode. These cause the internet connection to sync your account and get a control over your contacts. A better way is to isolate them or switch off wireless button if you are not using it at the moment. Turn off the Restriction buttons: All iPhones have got the restriction mechanism. Click on ‘Settings’ then go to ‘General’ and chose ‘Restrictions’. 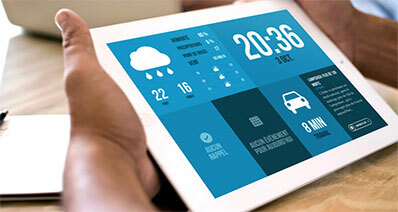 A list of Apps including Deleting Apps, Installing Apps, iTunes Store and much more, will be populated. Ensure that you turn off the ‘Deleting Apps’ one in order to prevent accidental deletion. Got an iPhone case: If you are a victim of continued contacts deletion which happens mistakenly, it could be that they get deleted while in your pocket or purse. Wearing an iPhone case can protect your iPhone from accidently operation in pocket.